Juventus talisman Cristiano Ronaldo has urged Juventus fans to stay positive and have faith on their squad ahead of the crucial clash against Atletico Madrid in the Champions League. Cristiano Ronaldo moved to Juventus from Real Madrid last summer after winning three consecutive Champions League trophies and scoring 450 goals in 438 games over nine seasons with the Los Blancos. The five-time Ballon d'Or winner settled into Turin very quickly and became Juventus' talisman soon after. This raised hopes of Juventus securing the Champions League title, something Massimiliano Allegri has not been able to do. With 19 goals in the Serie A this season, the Portuguese talisman remains one of the pivotal reasons for Juventus' unbeaten run in the Serie A. But the Bianconeri were dealt a huge blow in the first leg of Round of 16 fixtures as they failed to score against Atletico Madrid in Wanda Metropolitano. Diego Godin and Giminez scored two goals and as a result, Diego Simeone's side has a comfortable two-goal cushion over their rivals before the second leg in Turin. 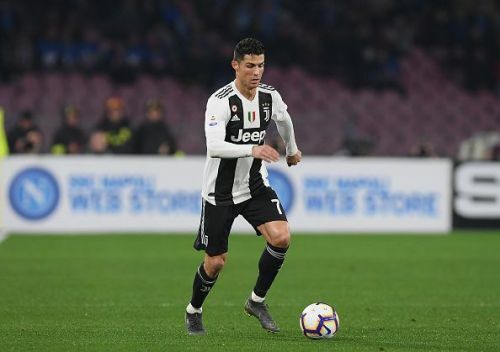 Ronaldo has urged the Juventus fans not to lose faith in their team despite losing 2-0 in the first leg and insisted that a comeback is possible. "These are the great nights, the fantastic ones, the Champions League nights"
"To the fans I say: think positive, let's believe it is possible, and we need your help. Make the stadium fantastic and we will try to do our best on the field." Ronaldo also praised Atletico Madrid but claims Juventus are ready for them. "They're a strong team, everyone knows that. They defend well, don't take risks, and play on the counterattack. But we are ready, we will do anything to win. The small details will make the difference. We want to go through this round and be in the quarter-finals. " Football is like this, nobody expected us to lose in the first leg, but anything can happen. We want to give a strong response at home in front of our supporters." added the five time Ballon D'ore winner. Juventus will host Atletico Madrid in the 2nd leg of Champions League Round of 16 on Tuesday night. Teams such as Ajax and Manchester United have successfully turned the tie around in their favour and qualified for the quarter-finals. This proves that the result of the game between Atletico and the Old Lady is still subjected to a tight competition.